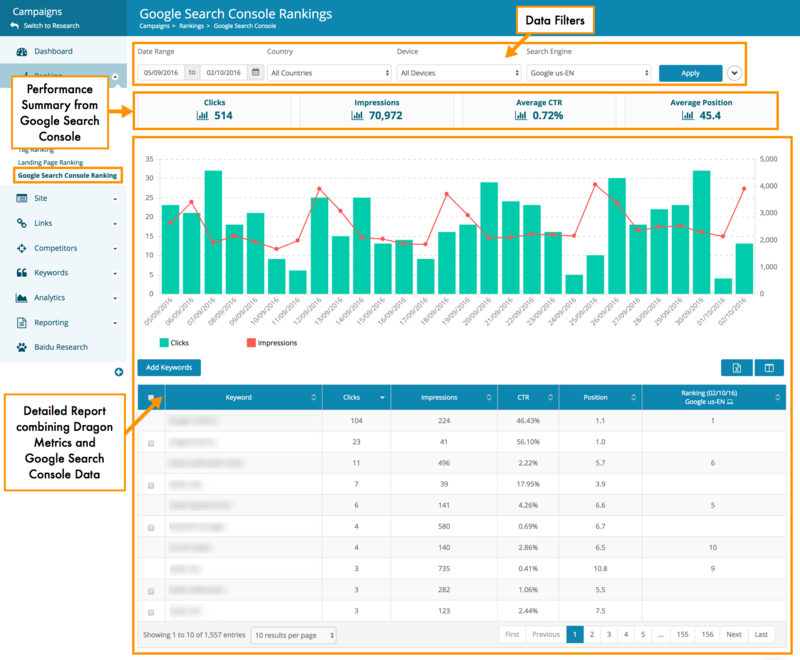 Welcome to Dragon Metrics, a full suite of SEO tools for global marketers! 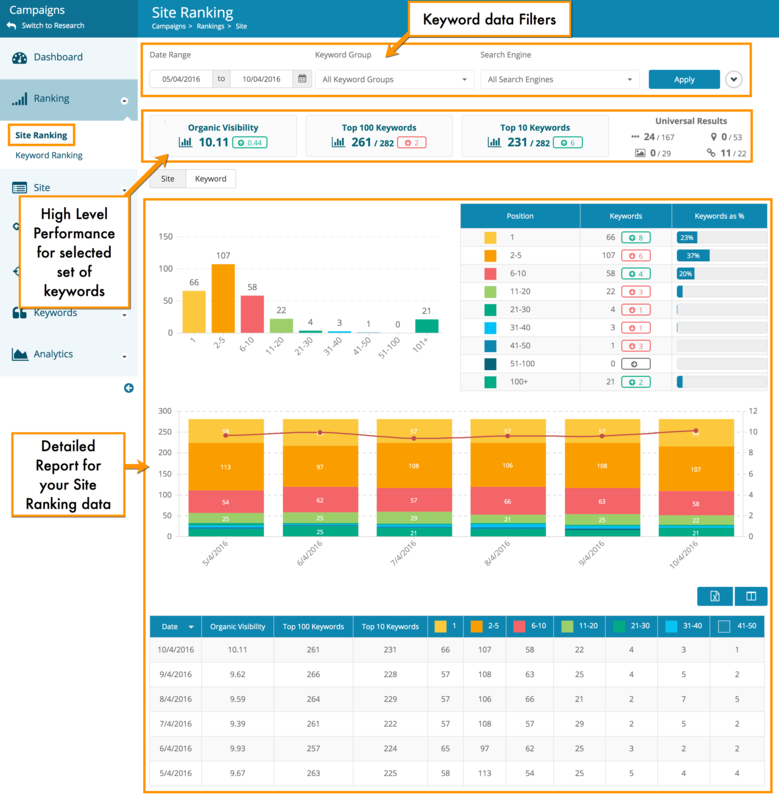 While our software can give you tons of data, we are proud of making it super easy to use, and with this overview you should be up and running in minutes! Our software consists of 2 Modes - Campaign Mode and Research Mode. 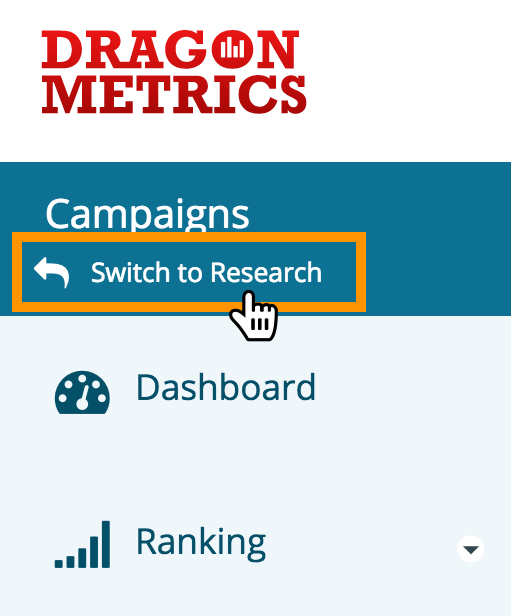 In campaign mode you can setup different campaigns for domains you'd like to track, creating campaigns in Dragon Metrics is almost effortless with our Quick Start Wizard. Once you've created a campaign, we’ll start collecting data. You can start seeing populated data from a few to 24 hours in the App interface. Right after creating your first campaign / logging in you will be seeing your campaign dashboard, which is the homepage of our campaign mode, you can quickly switch to a different campaign using the drop down menu at the top bar. 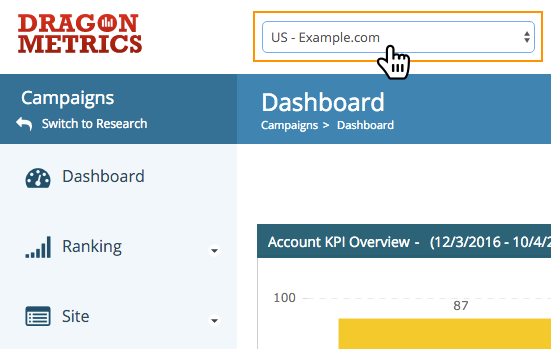 At your campaign Dashboard you will be able to customize and view data for all your campaigns in Dragon Metrics at a glance. 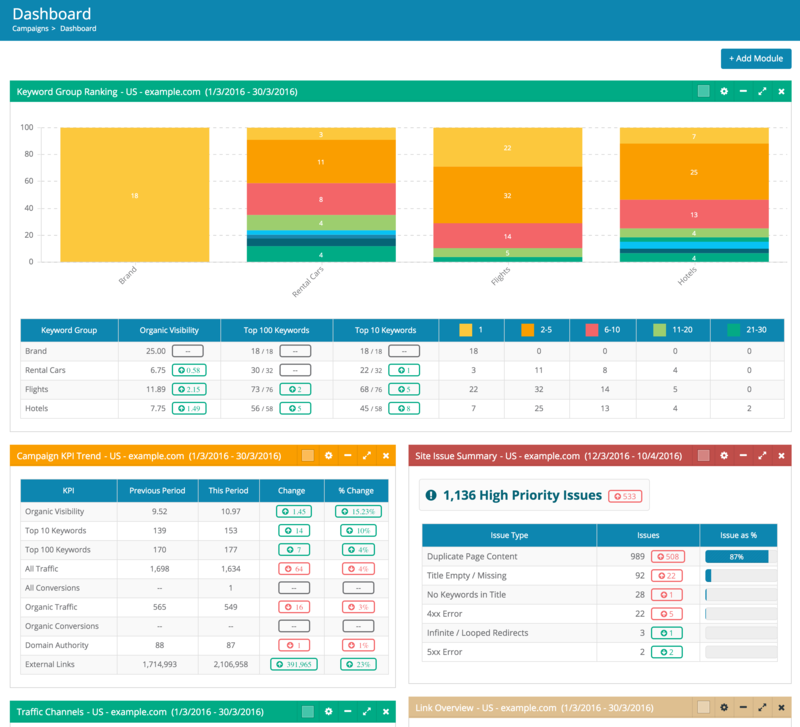 While with our Dashboard gather all the data in one place, you should also use the left navigation menu to access different features offered by Dragon Metrics. 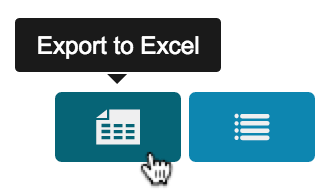 Within each reports you can also use our advanced filters to toggle different data sets and customize your view. In the Site section you can get our detailed on-page analysis about your website, we crawl for over 50 on-page SEO issues and content optimization recommendations, grouped by priorities and types with our step by step guides on fixing them, you will be able to track you on page issues over time as well. 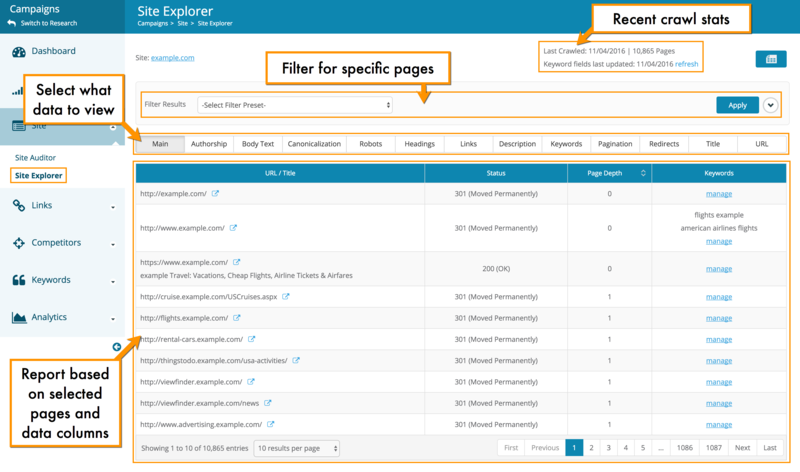 If you want to take a close look at any technical aspects of your websites, you can also use our advanced Site Explorer, where we crawl your sites and collect data about your website content from over 100 data points. Our Link section will automatically find backlinks to your websites and allow you to get any websites' backlink profile. We provide exhaustive amount of metrics for every backlinks we found, you can setup alerts for any changes in your backlink profile as well. With Dragon Metrics you can not only track competitors you've specified, we will automatically find your biggest competitors for you! 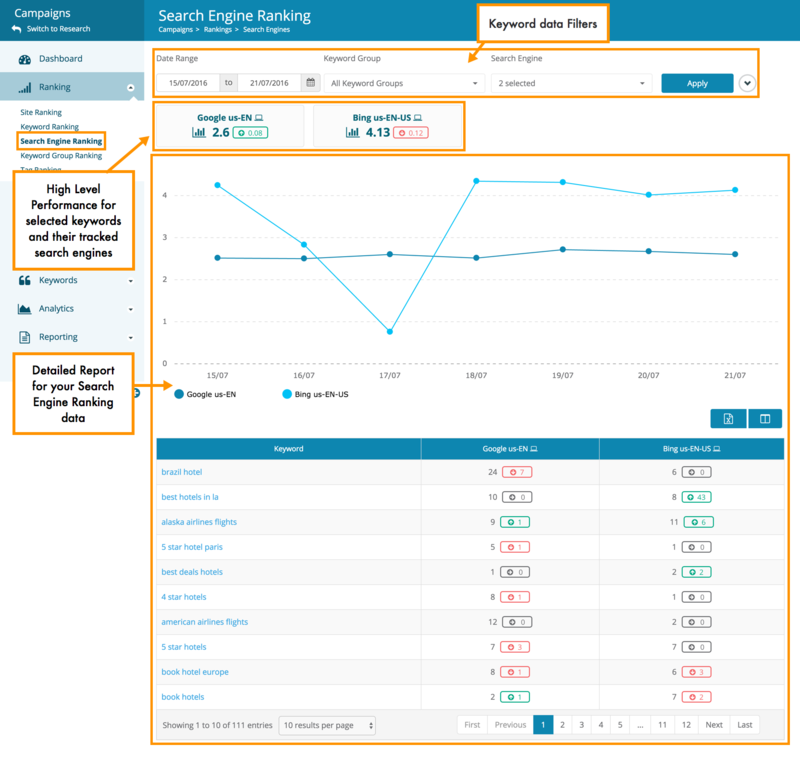 You can view how your website is positioned in your competitive landscape over time both with our calculated metrics in both site level and keyword level. 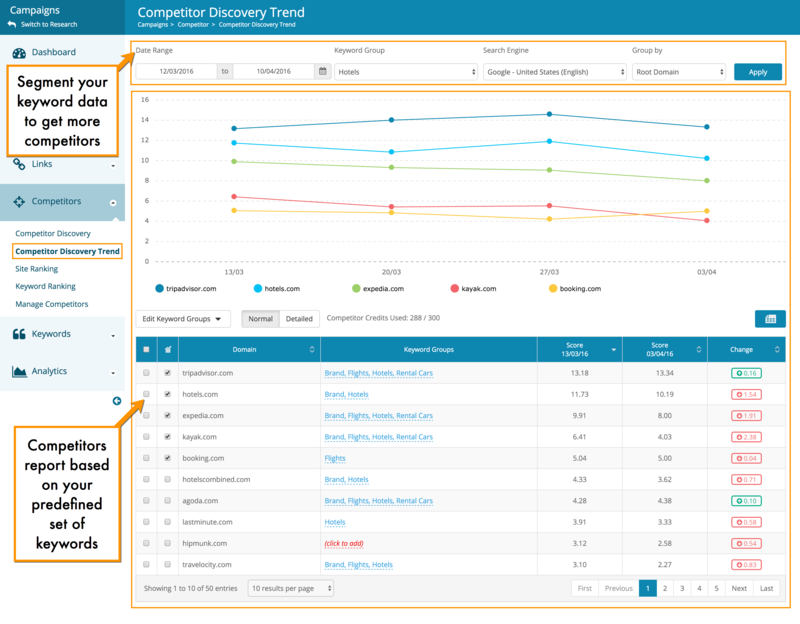 Learn more about Competitor in Dragon Metrics. 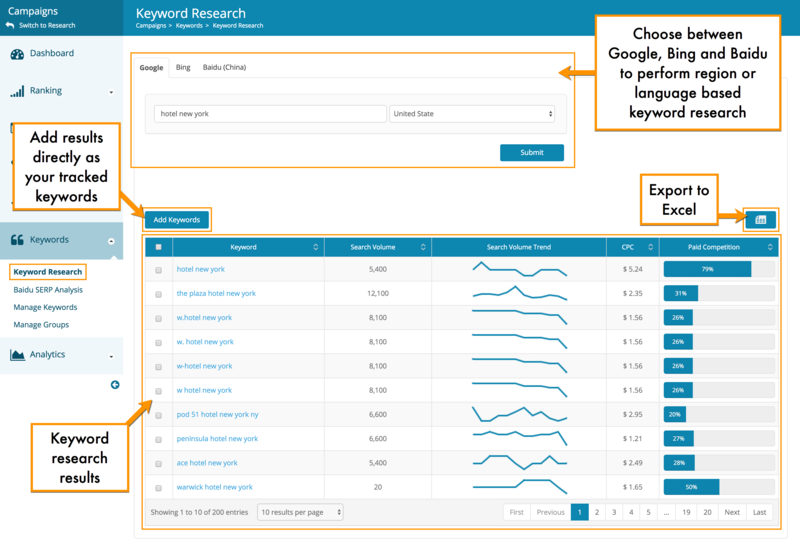 We've Google, Bing and Baidu's keyword research tool built into our platform, with these you can conduct keyword research in seconds. 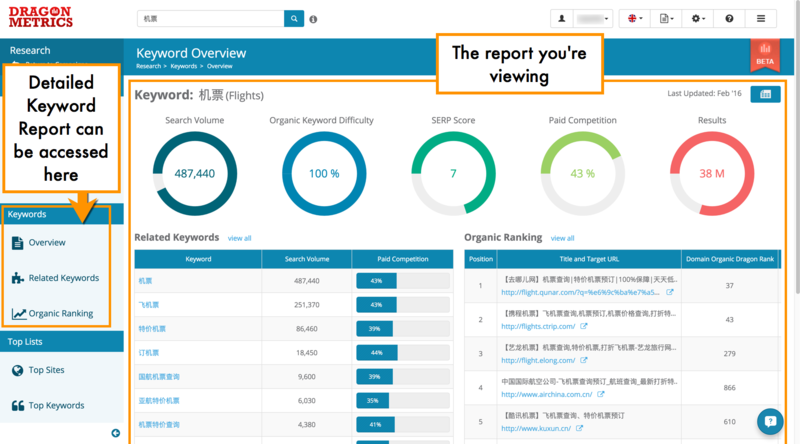 Our Baidu SERP analysis tool also analyze keyword and give you a score on its potential organic traffic - depending on how many Baidu properties are occupying the SERP for that keyword. 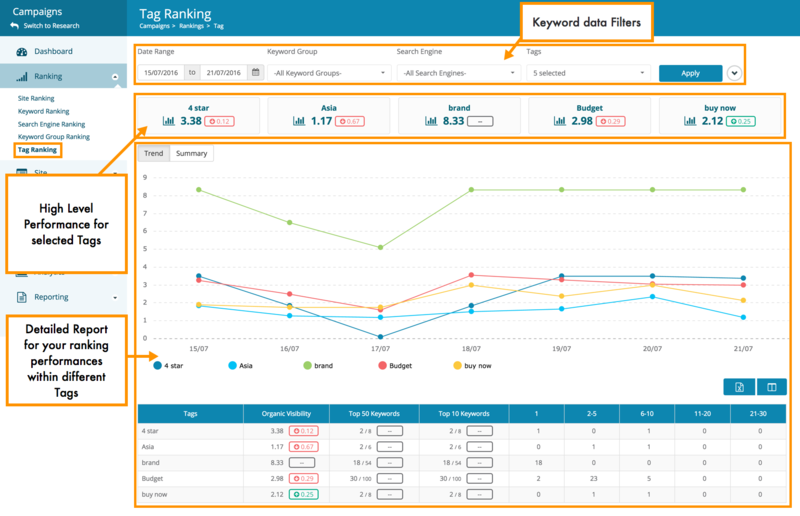 In this section you can also manage your campaigns' keywords and get search volume for them. 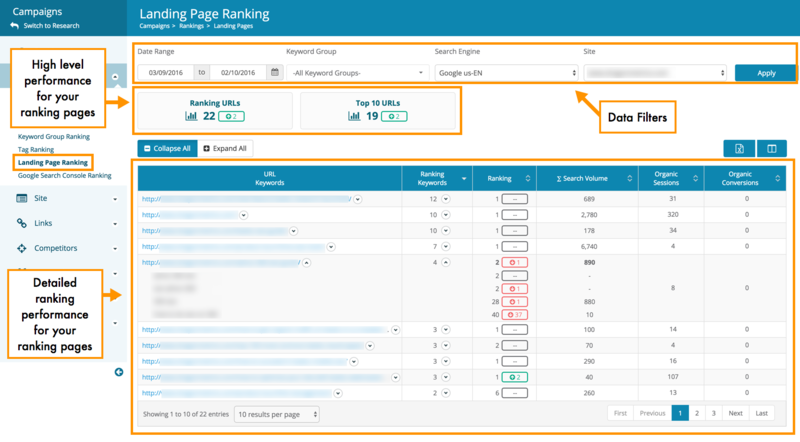 We've integrated Google Analytics to our platform, so you can integrate your web traffic data into Dragon Metrics, create integrated reports and prove the true value of your SEO efforts to your clients. 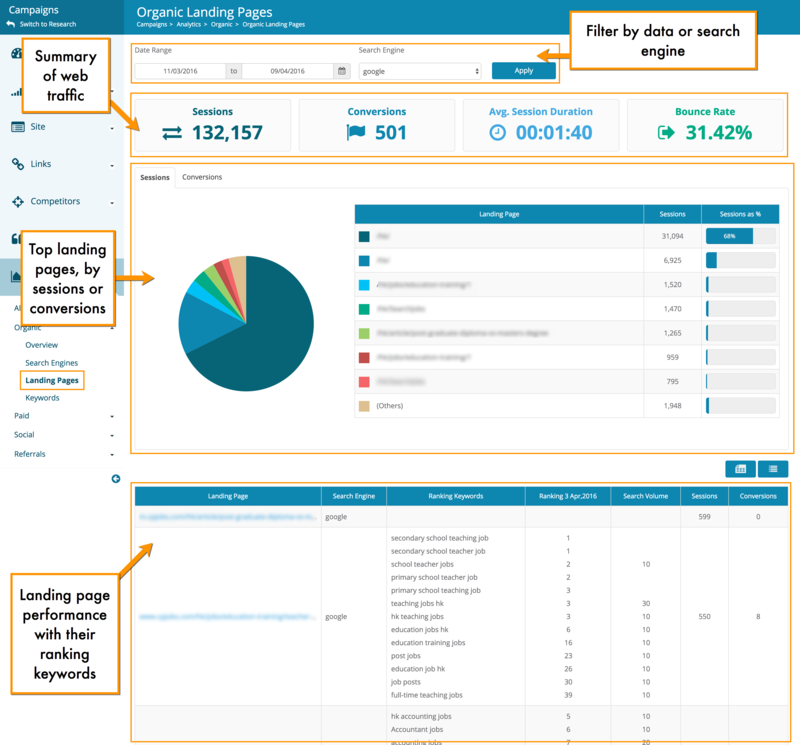 Also our Organic Landing page report can help you uncover some of your (Not Provided) keyword data. 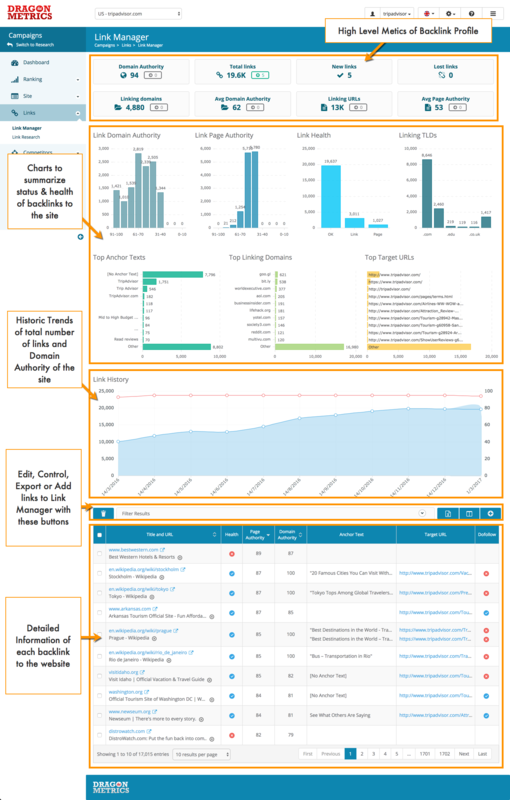 After creating your campaigns and getting around different pages to get the data you need, you can also use our Custom Report builder to create scheduled or one time reports or setting up alerts to get informed for performance fluctuations. Dragon Metrics makes multiple users and project management really easy, to access the User Management page, click on the Users drop down from the settings button at the top bar. 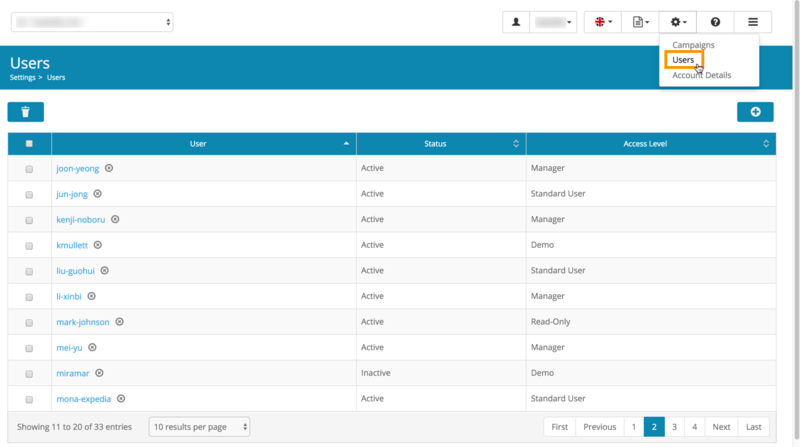 Here you can create and manage users, assign access level and campaigns to your team members. 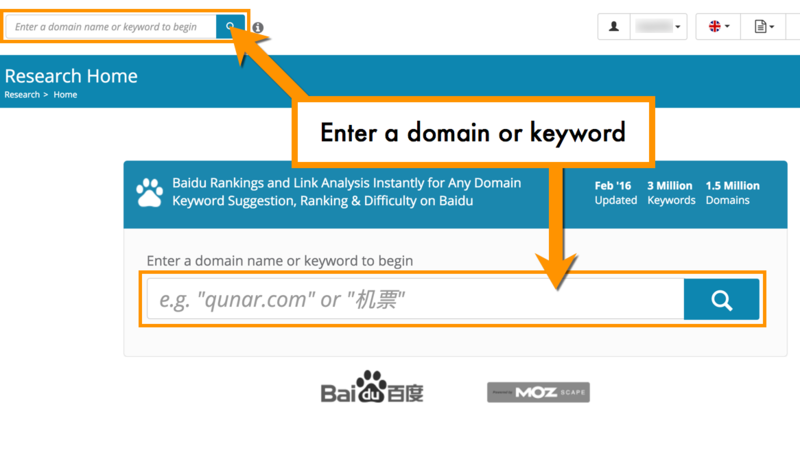 If you want to run a one time research and get instant data for Baidu, Research Mode is for you. The main difference between our Campaign Mode and Research Mode is our Campaign Mode can track your websites' performance frequently (Daily and weekly), whilst in Research Mode we show you data for as much domains and keywords we could with a less frequent update frequency. You can quickly access our Research Mode at anytime with the "Switch to Research" button in the left navigation menu. 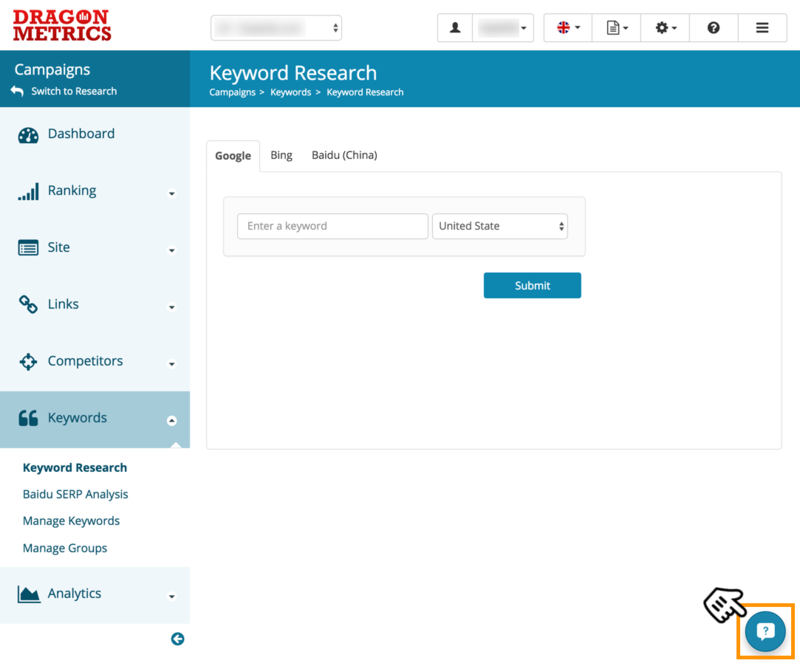 After you are in Research Mode, you can type in a keyword or domain you'd like to research for in the search box at the top bar or middle of the screen. 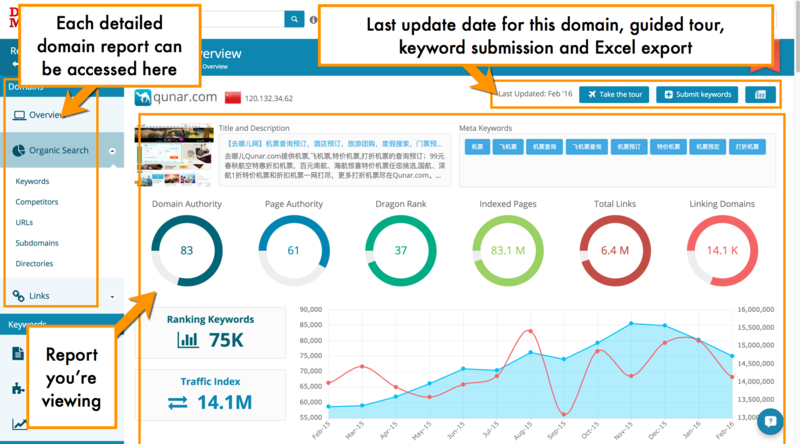 If you type in a domain, you will be able to instantly get a tons of data like its ranking keywords, competitors, performance of its URLs, subdomains and directories, backlinks pointing to the site, Indexation in Baidu, Estimated Traffic, Domain / Page Authority, Dragon Rank etc. 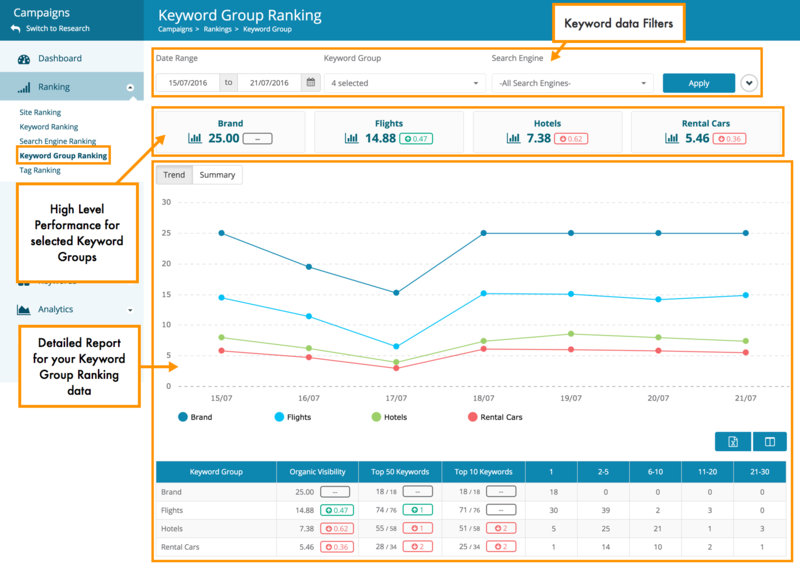 If you type in a keyword, you will get a different set of data like its related keywords, organic ranking pages, Search Volume, Organic Keyword Difficulty, SERP Score, Paid competition, number of results on the SERPs etc. 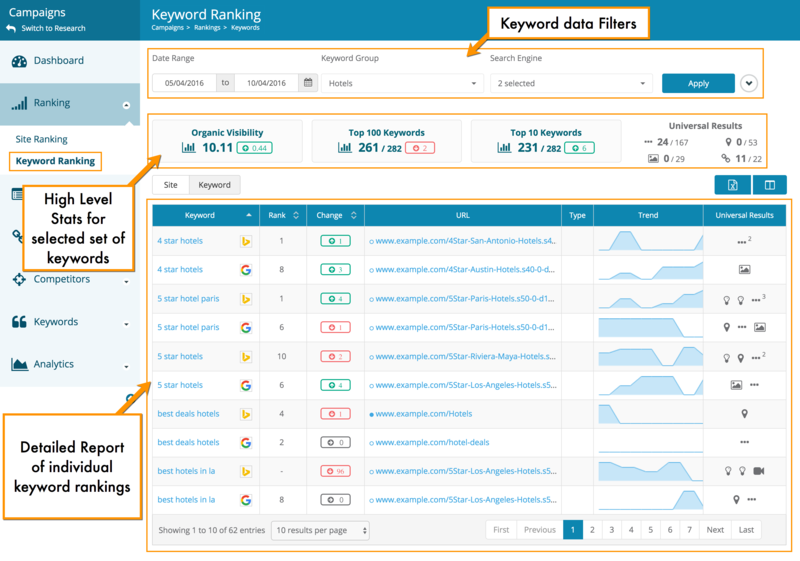 Other than typing in domains and keywords you are interested in, sometimes it is interesting to see what are the most popular domains and keywords as well, our Top Sites and Top Keyword lists can help you do exactly that. All the data within in Campaign mode can be exported to an Excel spreadsheet with no limits and data within our Research Mode can be exported to Excel but export limits will differ depends on your account level. If you got confused at anytime, you can click on the ? button on the top right side of the screen to get more information from our knowledge base, you can also check out our FAQ section, or contact us via the live chat function by clicking on the blue button located at the bottom right of our app interface. If you'd like a more detailed walkthrough with a Dragon Metrics, just get in touch and we will be more than happy to provide a 30 minutes training session for you! We hope these help, and have fun using Dragon Metrics!